This trim ring is 15 inch x 3 inch stepped stainless steel with a brushed finish. These beauty rings 15 inch diameter wheel size are excellent for popular muscle car applications. 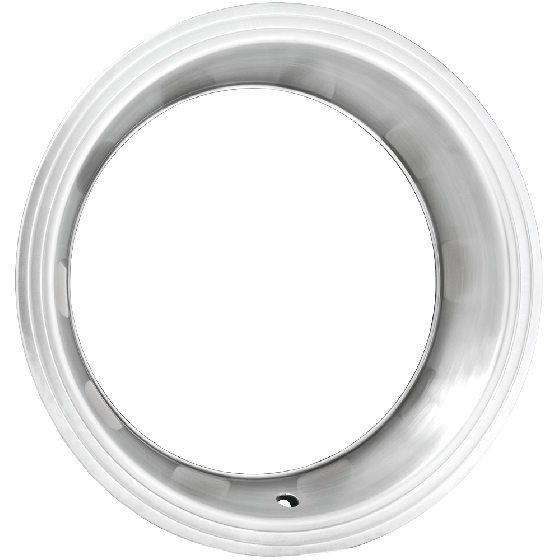 These 15 inch wheel trim rings feature stainless steel construction with a nicely detailed stepped outer edge. The Mopar specific brushed finish, fits 15x7, 15x8 and 15x10-inch Mopar Rallye wheels. Yes, these are the correct trim rings for that wheel. Are you asking about our Chevy Rallye wheels, Chrysler Rallyes, Mopar Rallyes, or another model? Please let us know which model you are asking about and we can further advise. Will this work on the mopar 15" police wheels?